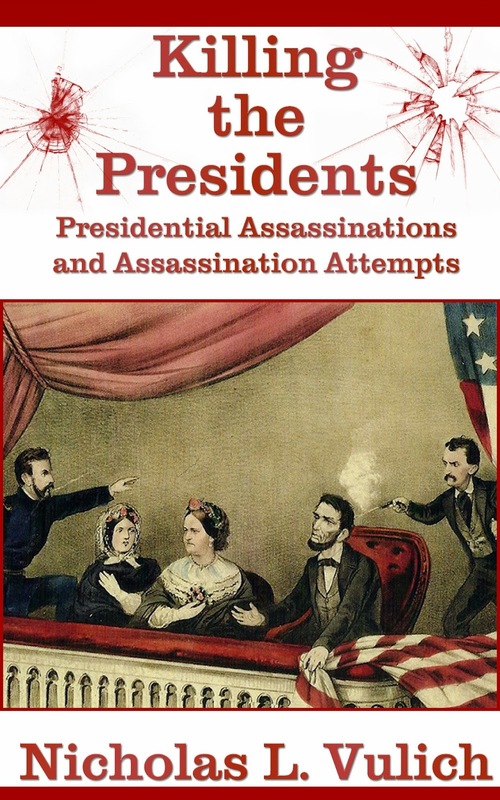 Do you want to know the true story behind the men who killed the presidents? Killing The Presidents offers a brief and fascinating look at the Presidents who lost their lives, the motives and mental states of the assassins, and the reactions of the public to the shootings. John Schrank, the man who shot Theodore Roosevelt, said “In a dream I saw President McKinley sit up in his coffin pointing at a man in a monk’s attire in whom I recognized Theodore Roosevelt. The dead President said—This is my murderer—avenge my death.” And, so he shot, and wounded the Bull Moose Candidate. This is the story of the assassinations, told as much as possible in the words of the witnesses, the assassins, and the attempted assassins. The book is short, just 108 pages, easy to read, and will leave you wanting to investigate, and learn more about this dark area of American history. Some of the details are quite graphic, such as Surgeon Charles Taft describing the how they carried the dying Abraham Lincoln to Petersen House – “blood [was] dripping from the wound, faster and faster” as they walked. And, throughout the night, he held the dying President’s head so blood and brain tissue could continue to ooze out, and prevent clotting.